The darker and shorter days of fall have the tendency to create a bit of restlessness in me. Which is how I found myself researching cycling routes in Ireland. While Ireland isn't known for its wonderful fall weather, I thought it would be a good place to go to cure my idle hands and mind. 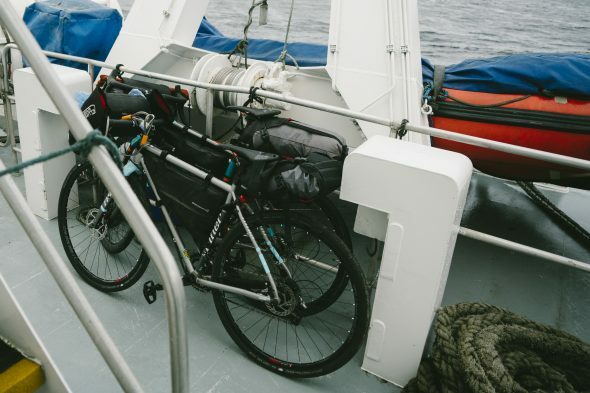 My girlfriend and I decided to bikepack across the Aran Islands, three small dollops of land off the west coast of Ireland. They span a whopping 18 square miles and are mazed with an estimated 1,500 miles of hand-stacked stonewall. This trip was more than just an excuse to go somewhere for the sake of going. My parents emigrated to the U.S. from Ireland back in the 80s, and I‘ve been lucky enough to travel back and see where they grew up over the years. But, I‘ve never seen much more than the small town my family lives in. 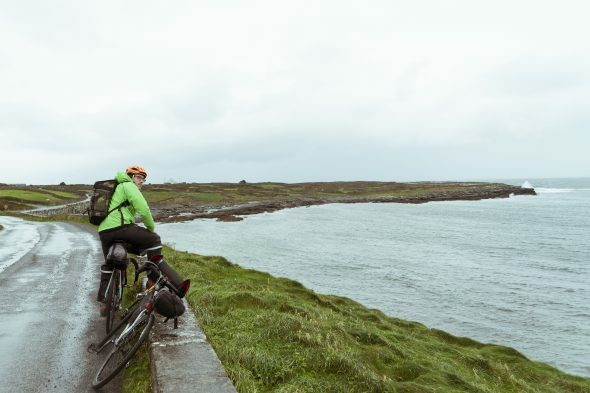 Riding up the coastline of the islands, where the old spirit Ireland lives on, seemed like a good way to get closer to a place my family calls home. Since neither my girlfriend or I are experienced bikepackers, we weren't exactly sure what to expect. So we packed what we thought we would need and left sunny Colorado on a wing and a prayer, somewhat hoping that Irish proverbs and the 'luck of the Irish' were actually real things. Between the rough weather and some travel issues, I wouldn‘t classify this trip as a total success. It turned out to be more like an incredibly fun and beautiful flop. Because of that, I have a short list of Do‘s and Don‘ts for biking in Ireland for others to read. During the summer the Aran Islands are totally overrun by tourists. But, in late November the three islands really quiet down and you have these beautiful winding coastal roads all to yourself. 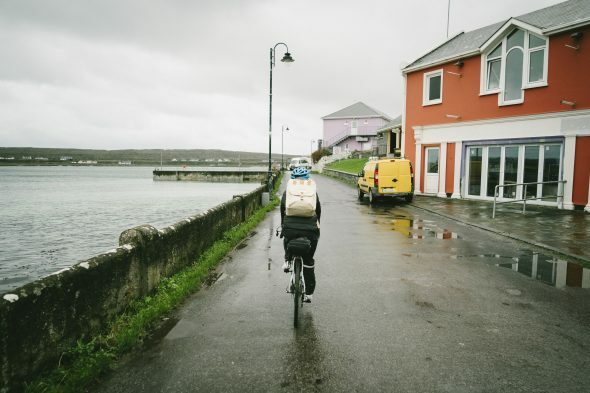 The whole point of going to the Aran islands is to feel like you‘re stepping back in time. Stone walls, thatched roofs, the old language and the limited number of people around, really makes you feel like you‘re in a different time. This type of trip isn‘t made for everyone. The island is remote and the weather is terrible. And if you're ready to bail on the trip, your only escape is a ferry that leaves once a day. It‘s important to choose a riding partner that can laugh through the rain and push through the bitter cold. There‘s never an excuse to pass by a cafí©. Always treat yourself to a delicious pot of Barry‘s Irish tea and a few slices of brown bread lathered up with some Kerry Gold butter. This combination is surely sent from the heavens above. It will keep you alive and your spirits high. The Irish people are some of the friendliest people in the world. (Trust me my whole family lives there and they are the best.) Talk weather, sport, bikes, traffic... whatever really. Do it for the craic, you‘ll figure out what that means when you strike up a conversation. At best, Irish weather is touch and go. At worst, it can make your bones cold and make you question how people survive here. Bring your rain gear and layer up. Our time on the Aran Islands was wet and cold, but as with most things in life, it's best to push through because storms pass, eventually. You‘re in Ireland and there‘s no better place to have a pint of the black stuff. 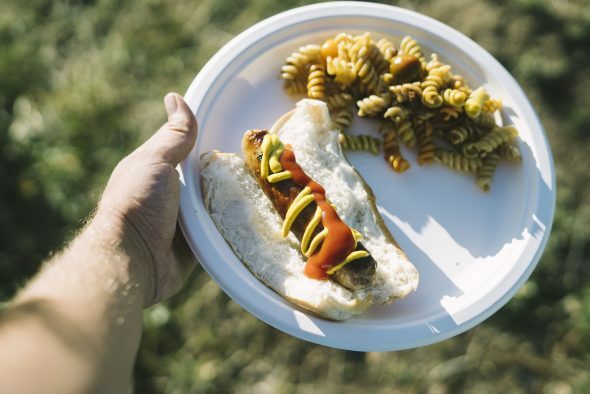 I‘m no scientist but it‘s practically a meal in a glass, so it‘s a nutritional must when you‘re biking all day long. There‘s also a good chance you‘ll stumble across a warm fire and some traditional Irish music. Be aware that you may not leave the pub. Country roads are beautiful, but you might end up in a ditch on more than one occasion. 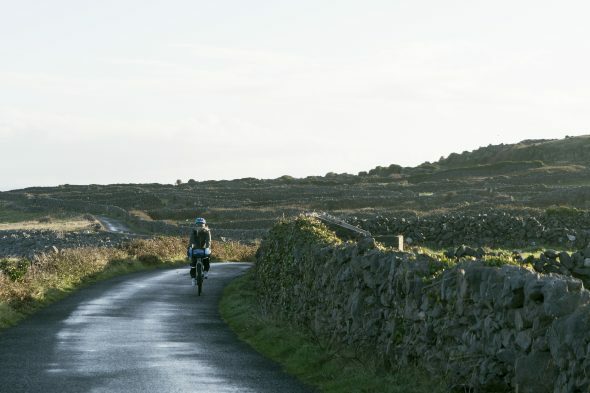 Ireland is great but the roads are empty most of the time so no one is expecting to come across two cyclists out there. So keep your eyes and ears open because you might come face to face with a tractor around the next turn. I‘ve been lucky enough to be able to travel back and forth between Ireland over the last 25 years. I think this trip made me fall even more in love with that tiny country. I know a camera is an extra weight, but it‘s totally worth it. It‘s an excuse to pull off and look around every few miles, and not feel bad about it.